A photographer (Neil Nitin Mukesh) has nothing going for him, until he inherits a camera that has the ability to predict the future. A photographer has nothing going for him, until he inherits a camera that has the ability to predict the future. Mumbai-based struggling wildlife photographer, Ray Acharya, is informed that his maternal grandfather has passed away, and left some mementos for him. He picks them up, finds out they include an old camera which has the uncanny ability to photograph the future. He uses it to amass wealth at the lotteries and races; and woos struggling singer, Simi Chatterjee, but finds that he has to face enemies who want the camera by hook or by crook. The first one is a ruthless assassin simply known as Captain; the other is Special Officer Puri. And even if Ray manages to survive either of these two - who pursue him all the way to Bangkok - he will still have to face yet another enemy - death! Aaron (Kelly Blatz) becomes frozen in time when he battles an evil father-son duo who can freeze time. Aaron becomes frozen in time when he battles an evil father-son duo who can freeze time. Their larger goal is to create a time machine that will help them gain control of the world. Elsewhere, Charlie fears that he will be put on academic probation. 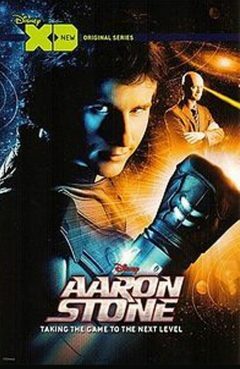 An android claiming to be a futuristic Stan (J. P. Manoux) shows up at Charlie's door, and Aaron enlists the help of both Stans to stop Kronis from stealing a time-traveling formula. An android claiming to be a futuristic Stan shows up at Charlie's door, and Aaron enlists the help of both Stans to stop Kronis from stealing a time-traveling formula. Meanwhile, Jason joins the school's wrestling team. Finn enters a mysterious dungeon and struggles to find a way out and back to Jake. Abbie Walker knew from the beginning that solving mysteries was her destiny. Little did she know, however, that a secret government agency was watching her every move -- waiting for the day when they could bring her into their fold. What they didn't count on was another young adversary... planning Abbie's demise. 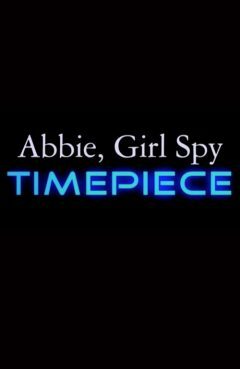 From the discovery of a secret underground office to the forming of her detective agency, Timepiece will take you on a roller coaster ride through time as Abbie and her friends race to put right what her evil nemesis has altered somewhere in time. Teenage girl (Mary-Beth Manning) is convinced her mother doesn't understand the younger generation, and she is sent back in time and meets her mother as a teenager. Teenage girl is convinced her mother doesn't understand the younger generation. Through circumstance, she is sent back in time and meets her mother as a teenager. Rupert Brown and Amelia Daley (Nancy McKeon) receive a mysterious gift from a spooky old crone: a ship inside a bottle with a tiny man as its passenger. 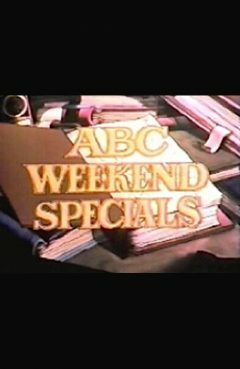 Upon their return to the present, Amelia (Nancy McKeon) and Rupert learn from Miss Switch's magic book that the real power behind this diabolical plot is Saturna the wicked witch. Upon their return to the present, Amelia and Rupert learn from Miss Switch's magic book that the real power behind this diabolical plot is Saturna (voiced by June Foray), the wicked witch whom Miss Switch and the children had helped to banish to the Island of Fire and Ice. As Saturna vows to get her revenge, Amelia begins to fade away and then vanishes Ð a disappearance Miss Switch knows will be permanent unless Amelia is rescued by nightfall. Amelia returns to normal just in time with the help of Thaddeus the troll, who drinks the potion which also transforms him back into the mayor. Miss Switch returns the children to school; Rupert asks her if they'll ever see her again and, as she flies away on her broomstick with Bathsheba, Miss Switch uses her magical powers to write the words "Who Knows?" on the blackboard. Two 20th century youngsters, Andy and Karen Winsborrow, are accidentally transported back to the year 100,000,000 B.C, and meet Bunjee (Frank Welker), a lovable, orange-haired creature who resembles a flying elephant with suction cups for feet. 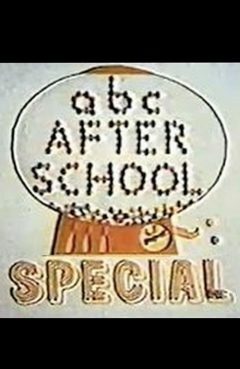 Originally telecast on March 24 and 31, 1984, as a two-part animated episode of the Saturday morning ABC Weekend Special anthology, "The Amazing Bunjee Venture" juxtaposes the Stone Age with the Modern Age in time-honored Hanna-Barbera tradition. Two 20th century youngsters, Andy and Karen Winsborrow, are accidentally transported back to the year 100,000,000 B.C. While dodging dinosaurs and surly cavemen, the kids find a loyal friend in the form of Bunjee, a lovable, orange-haired creature who resembles a flying elephant with suction cups for feet. Returning the courtesy, Andy and Karen bring Bunjee with them when they return to the present. Alas, Bunjee is hardly ready for modern civilization, and vice versa. Nancy Cartwright, later famous as the voice of Bart Simpson, is heard as Karen. Karen, Andy and Bunjee are determined to find a mom for the little Bunjee babies. The time machine sends them to the Middle Ages, where they tangle with an evil sorceress, battle a three-headed dragon -- and have more fun than a barrel of Bunjees! In the segment "C Is For Cycle", Bruno (Matias Oviedo) discovers a strange gap in the bushes lining his yard Ð a gap that is a hole in time. Written and directed by Ernesto Diaz Espinoza. A 26-chapter anthology that showcases death in all its vicious wonder and brutal beauty. The ABC's OF DEATH is an ambitious anthology film featuring segments directed by over two dozen of the world's leading talents in contemporary genre film. Inspired by children's educational ABC books, the motion picture is comprised of 26 individual chapters, each helmed by a different director assigned a letter of the alphabet. The directors were then given free reign in choosing a word to create a story involving death. Provocative, shocking, funny and ultimately confrontational; THE ABC's OF DEATH is the definitive snapshot of the diversity of modern horror. Drafthouse Films, Magnet Pictures and Timpson Films are proud to present this alphabetical arsenal of destruction orchestrated by what Fangoria calls "a stunning roll call of some of the most exciting names in horror across the world." With ÒC is for CycleÓ, Espinoza demonstrates a playful, and ultimately deadly, determination to play with looping time in a way I found strangely reminiscent of both Nacho Vigalondo's brilliantÊTimecrimesÊand Christopher Smith's equally brilliantÊTriangleÊ(2009). However, as would be expected with the strict budgetary and time limitations imposed by the producers, Espinoza's brief, murderous tale falls short. But the germ of a great film is in there. A little more time to let the reality of the situation breathe would have done wonders. As it is, ÒC is for CycleÓ feels more like a sequence in a larger tale. It's a tightly plotted sequence, for sure, as Bruno discovers a strange gap in the bushes lining his yard Ð a gap that is a hole in time. By opening focused on a pool of blood in the yard, we immediately know something bad is going on, and when Alicia wakes Bruno because she hears something in the living room that night, we expect the worst. But there's nothing there. Or so we thought. Before we know it, the next day begins and the strangeness takes hold in a veryÊBack to the Future 2Êkind of way. As with the best films to play around with looping time like this, by the end of the piece we discover that we don't know where the story began and simultaneously realize that it may never end. And that, my friends, is the sign of a good time travel film. 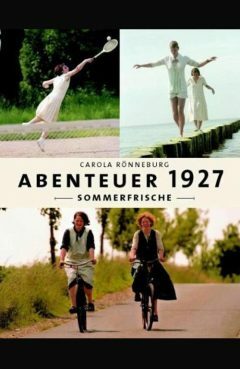 A young woman (Susanne Vogel) time-travels to a plush manor in Germany 1927, where she entertains her summer guests; Fellow time-travelers work tirelessly as housemaids and servants. A young woman time-travels to a plush manor in Germany 1927, where she entertains her summer guests; Fellow time-travelers work tirelessly as housemaids and servants.